I love the composition of this. The blended photo works so welL and the coloured embellishments are just right and don't overwhelm the soft colours. The dogs, of course, are gorgeous! 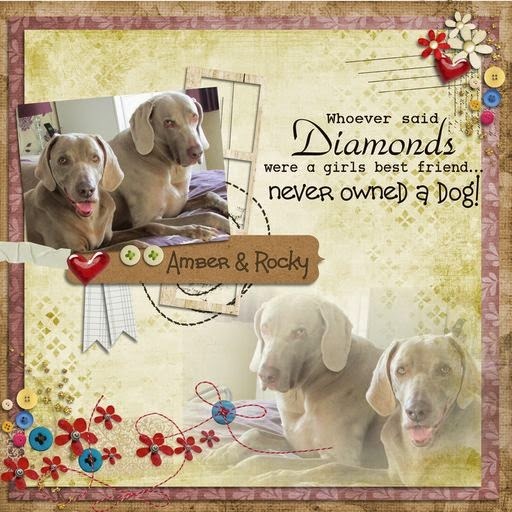 Wendy's pages often feature her weimaraners, Rocky and Amber and the kit used is 'So Greatful' from Sahlin Studio.